Last night was the big launch event for Windows 10, and it was Microsoft’s chance to show off some of the new features that will be included in the upcoming operating system. That wasn’t all it did though, and it took the opportunity to announced a bunch of new and interesting things. Here is everything you need to know about. One of the biggest things announced at last night’s event was the revelation that a Windows 10 upgrade will be free during the first year of release. That means anyone using Windows 7, Windows 8.1, or Windows Phone 8.1 will be able to enjoy Windows 10 without having to pay a penny, provided they don’t accidentally wait a year before upgrading. At the moment we don’t know when Windows 10 will be officially released, but according to The Independent a preview version will be available from next week until 21st April. Presumably the full version of the OS will be available not long after it ends. You can sign up for the Windows 10 preview here. During the presentation, Microsoft Corporate Vice President Joe Belfiore revealed that phone and tablet users will be given access to the full version of Microsoft Office at no extra charge. It wasn’t mentioned if that deal would extend to the desktop, but I feel it’s unlikely. There have to be some people around to flog Office 365 subscriptions to. Microsoft’s virtual assistant was previously restricted to Windows Phones, and while we knew she was heading to Windows 10 in some capacity this was the first time we got to see her officially in action. 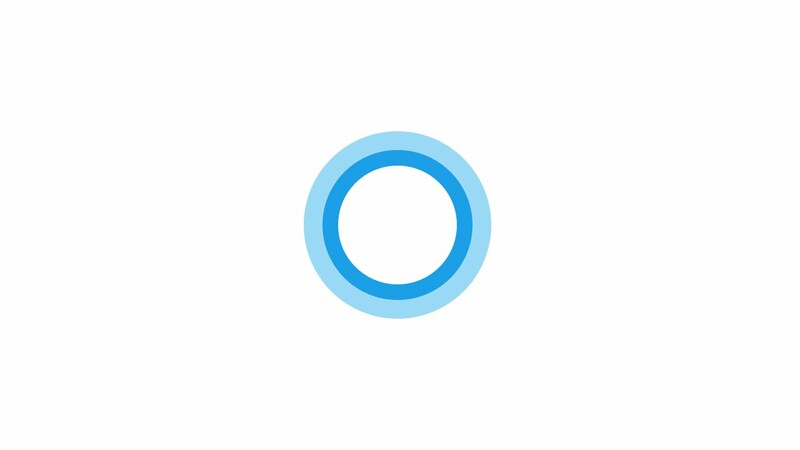 The main news is that the classic version of Cortana that Windows Phone users know and love is heading to Windows 10 desktops, and she’ll be able to do everything the mobile version can do. That means reminders, calendar events, to-do lists, and so on. But that’s not all, because Cortana is getting some upgrades and they will be hitting all Windows 10 devices. There are various new commands involved, so now Cortana can do things like search documents (on your device and on your OneDrive account), play music at your command, as well as letting you dictate emails. It’s like having your very own secretary/personal assistant, but without having to deal with annoying things like salaries or lunch breaks. Another big feature is the introduction of ‘Notebook’. Notebook is essentially a feature that’s similar to the feed in Google Now, and it lets you tell Cortana to keep track of certain things for you to check up on later. That could be sports results, travel information, weather, and so on. It means that you don’t have to keep finding that information yourself and refreshing the page to keep up to date. The final piece about Cortana is that she now has new features for the built in web search. The main one of note is the inclusion of smart prediction, which will allow Cortana to learn more about you and anticipate what you might be looking for before you tell her. There were a number of rumours that Microsoft would be ditching Internet Explorer in favour of a new browser codenamed ‘Spartan’. 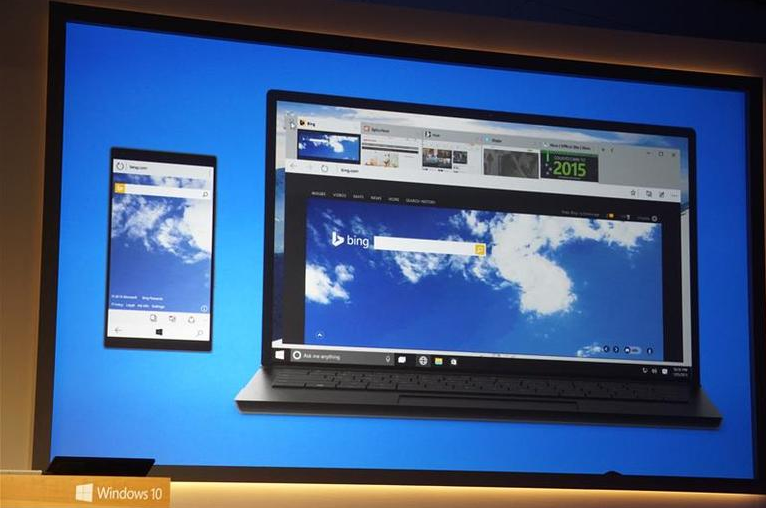 The rumours were true, and Microsoft showed off a quick tour of the browser last night. We didn’t get to see much, but what we did see was the ability to draw on, web pages, built-in Cortana, and a new reading mode. The reading mode is especially interesting, because it allows you to rearrange the web page and make it a more comfortable reading experience. This also allows you to build up your own custom reading lists which will sync across all of your Windows 10 devices. Sadly Microsoft didn’t have much to show, telling everyone that we’ll get a better look at Spartan in around 3-4 months. Microsoft isn’t interested in virtual reality, it’s more interested in making real life more interesting and Hololens is how it plans to do that. 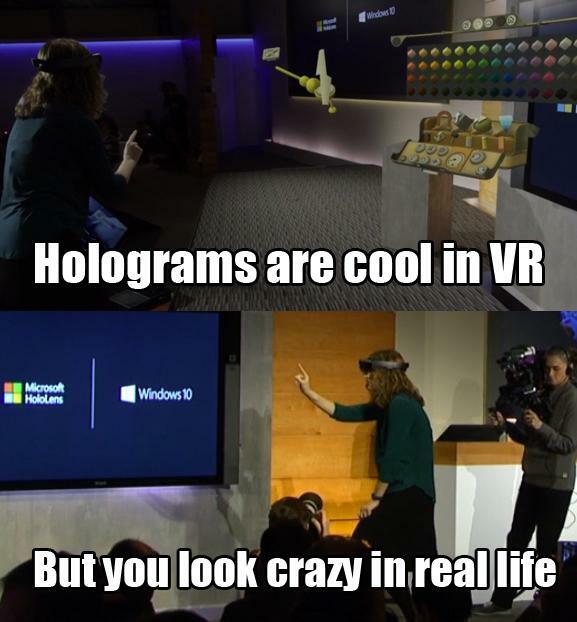 Hololens is essentially a pair of augmented reality glasses that displays holographic images over real life. In an introduction video Microsoft showed off the glasses being used to play Minecraft without a games console, interact with notes and virtual objects in the real world, as well as watching video in a way that simulates watching TV without actually having a TV. Oh and Microsoft is working with NASA so that scientists can use Hololens to simulate the planet Mars and control the Curiosity rover. It’s actually taking people to other planets (sort of). 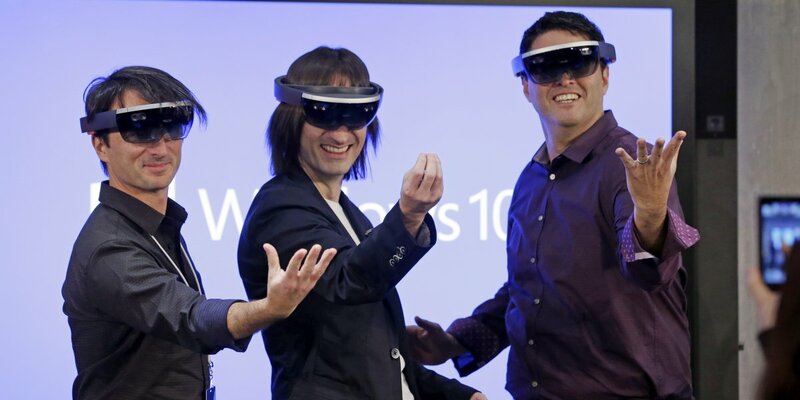 We don’t know when Hololens will be arriving in consumer hands, nor do we know how much it will cost. One thing for sure is that while the imagery in the glasses may be great, you’ll look like a nutter when you’re using it. 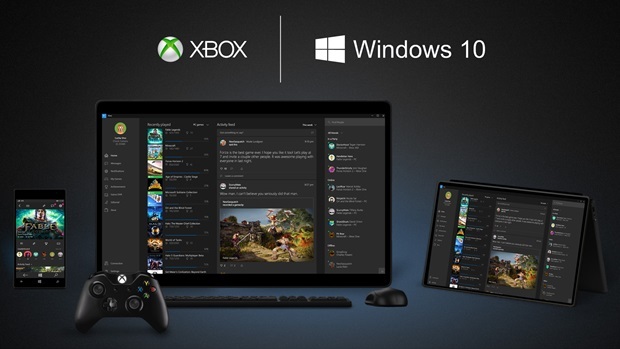 Windows 10 means better integration across all Windows devices, and that includes the Xbox One. This means a number of different things, but most importantly is the fact that Windows 10 will bring cross-platform play along for the ride. PC and Xbox gamers will be able to play with, or against, each other through the Windows 10 Xbox app, and the first compatible game available to buy will be Fable Legends. Also announced was a feature that lets you stream Xbox One games directly to another Windows 10 device. It’s similar to systems put in place by Sony and Steam, but it will only work between devices on the same network. So sadly there will be no playing Halo on the bus into work. Like Spartan there’s not much information on this one, but Microsoft has promised more details at the Game Developers Conference in March. I just have one question, will we be able to stream Xbox One games to Hololens? The answer better be yes or I’m going to be cross.